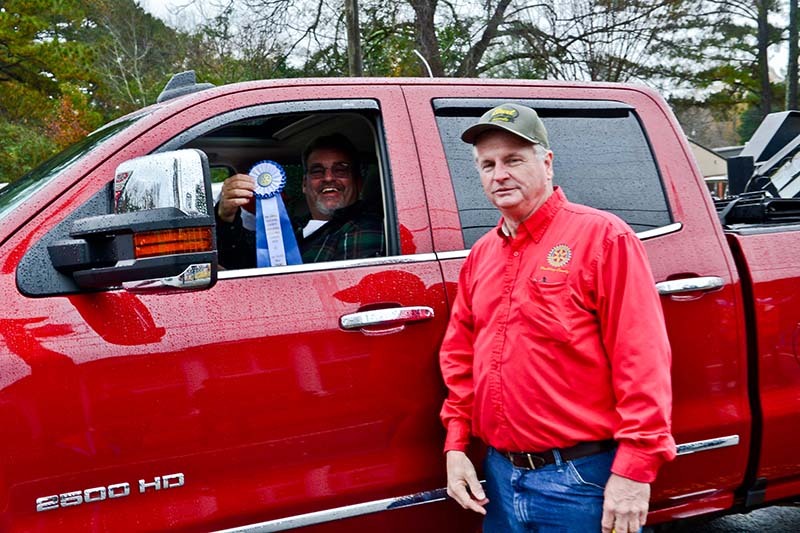 Saturday, December 1, 2018, this past weekend marked the 26th Annual Invitational Dallas Christmas Parade. 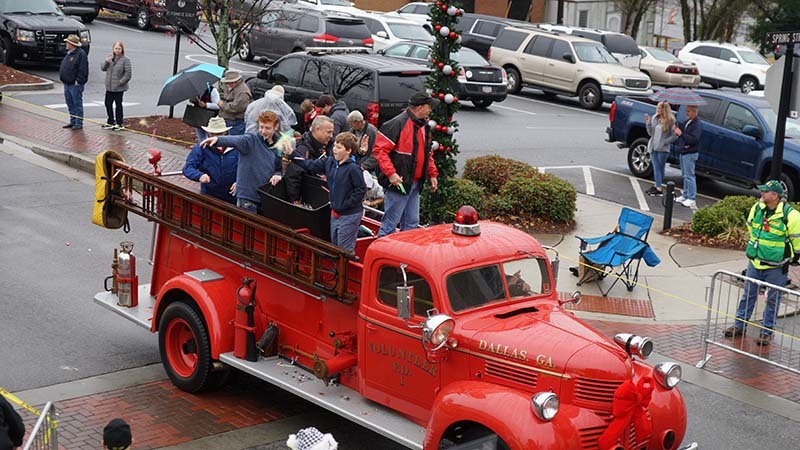 Presented by the Paulding County Rotary Club in cooperation with the City of Dallas and Paulding County this parade was recorded by PC 23 and will be broadcast before this Christmas. Rotarians and volunteers with assistance from the City of Dallas Police Department organized to coordinate the best parade possible. 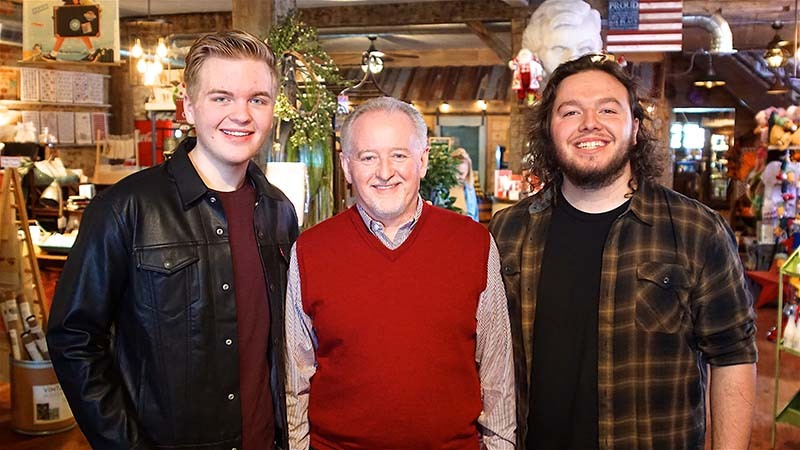 Caleb Lee Hutchinson agreed to be this year's Grand Marshal for the parade in keeping with our "be the inspiration!" theme. 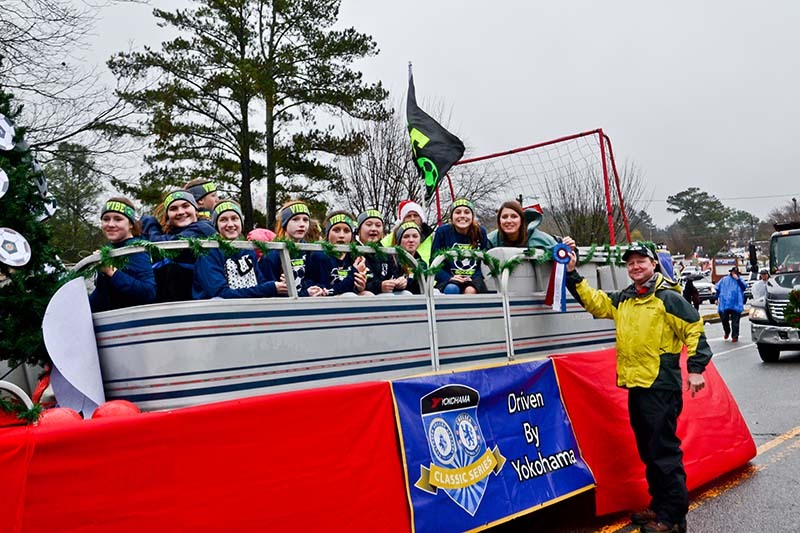 Unfortunately, this year our parade was met with rain. 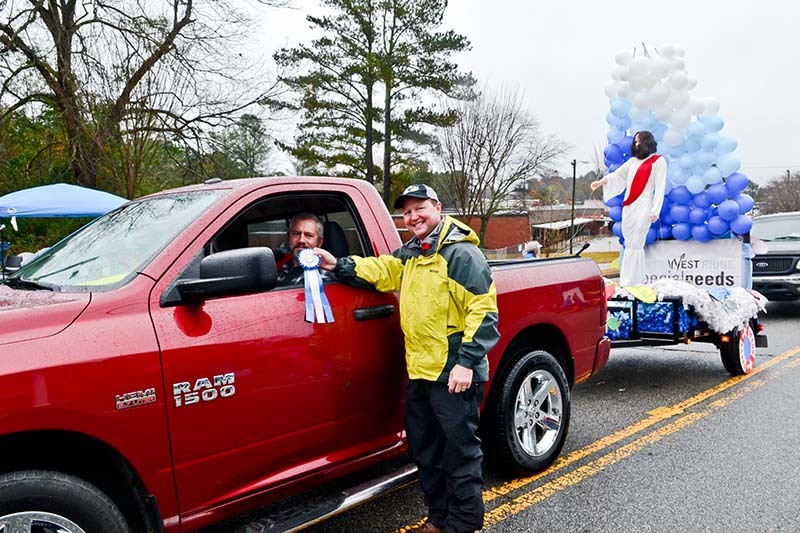 Although the rain began to relent somewhat just as the parade was beginning it made for an extremely difficult outdoor event. The organization and coordination of this event make it impossible to reschedule. 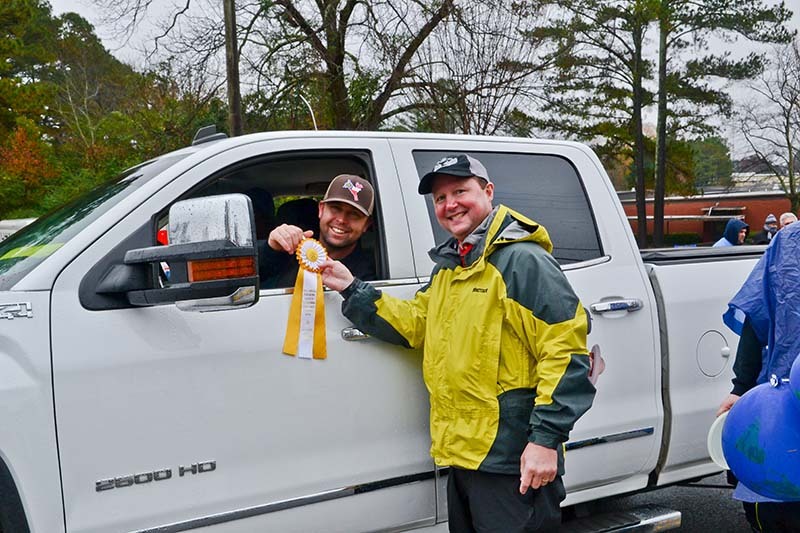 Due to the weather, many of our parade entries were not able to attend and the general attendance was down. 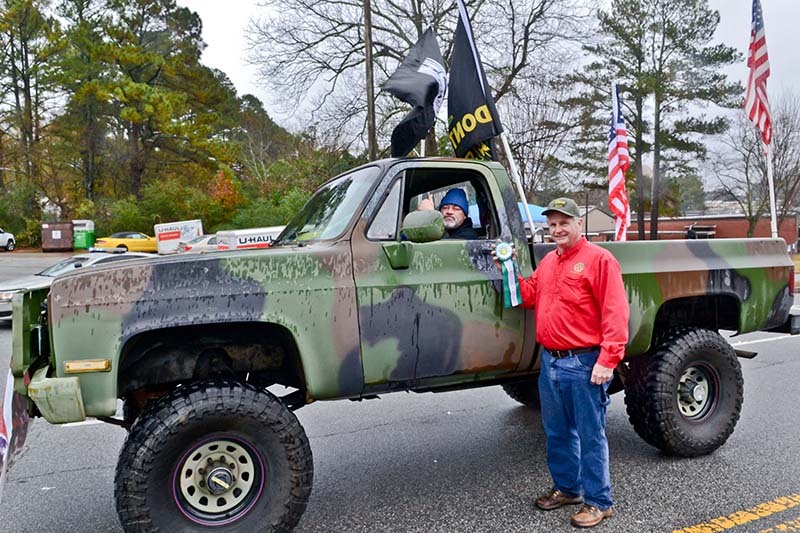 Approximately 8000 people participated in the parade this year. 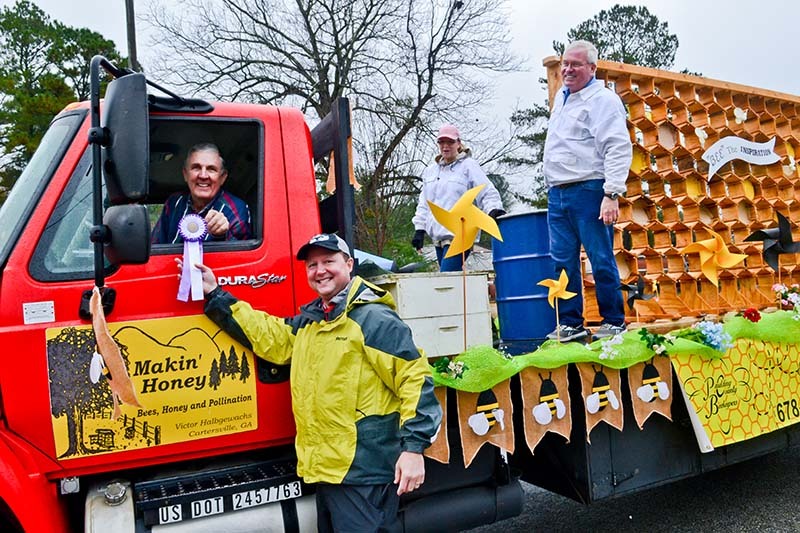 Last year, we estimated approximately 20,000 to 23,000 people participated. Although the attendance was off, and the setup was very difficult the parade was organized and presented without any complications. 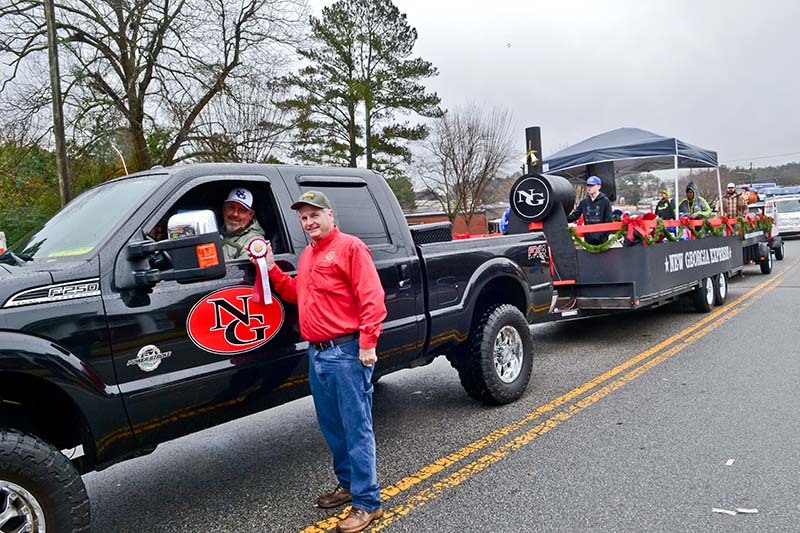 The most hearty of Paulding County residents and fans turned out to watch the parade. 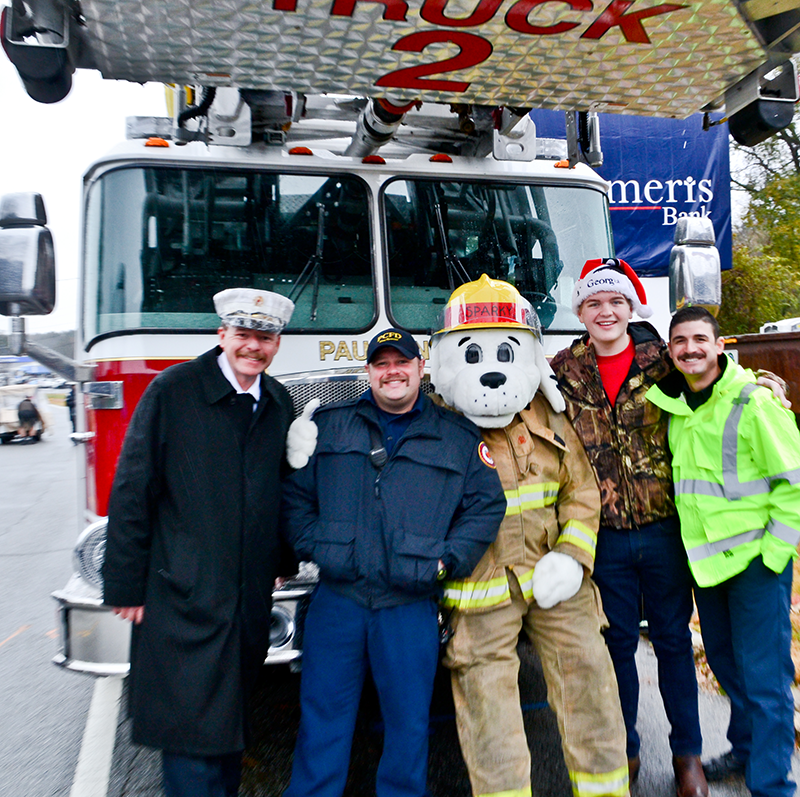 On behalf of all those who participated by coming out to enjoy the parade, the organizers and presenters thank you. Everyone involved with the production was greatly impressed and grateful to see the turnout, especially under the circumstances. 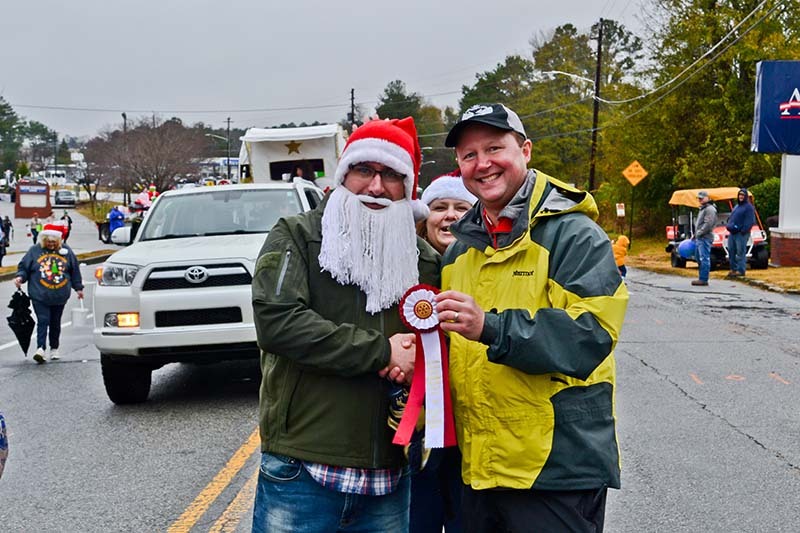 Thank you Paulding County for making the Christmas parade a great event. 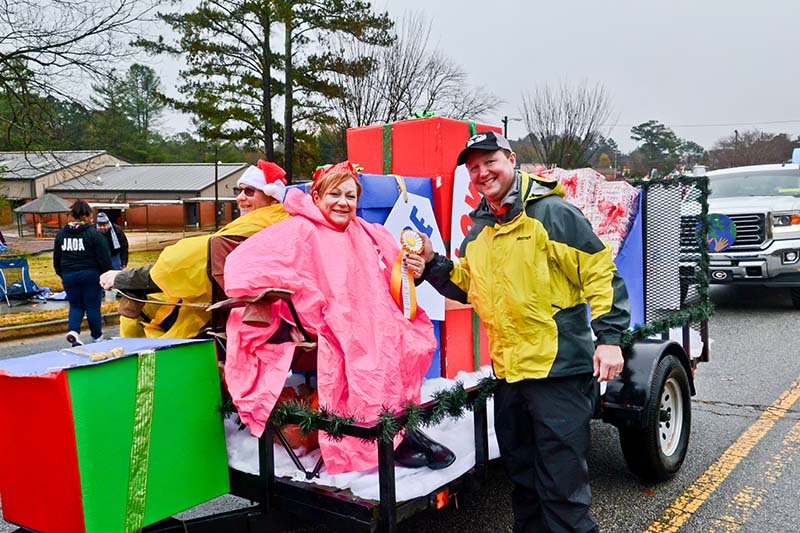 Watch video of 2018 Christmas Parade courtesy of Paulding County Today Channel-23 TV. 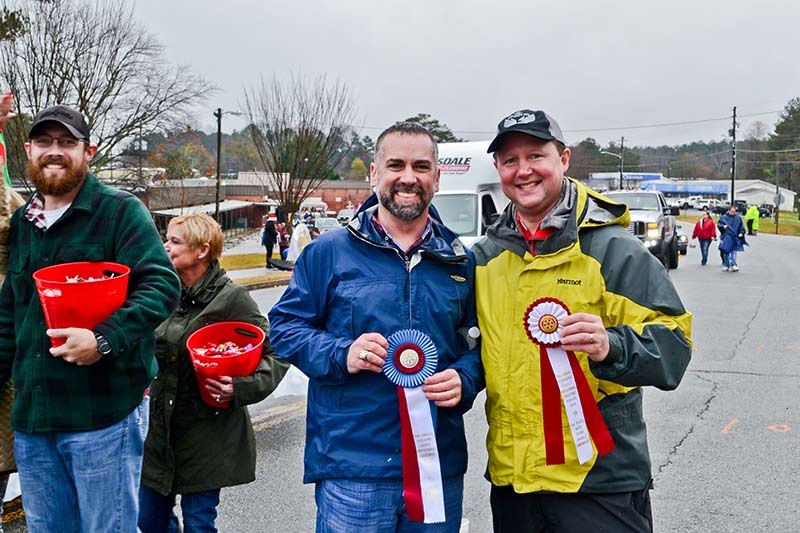 The Invitational Dallas Christmas Parade Committee and the Paulding County Rotary Club wish to thank all of the steadfast spectators for braving the weather to welcome the 2018 Christmas parade. 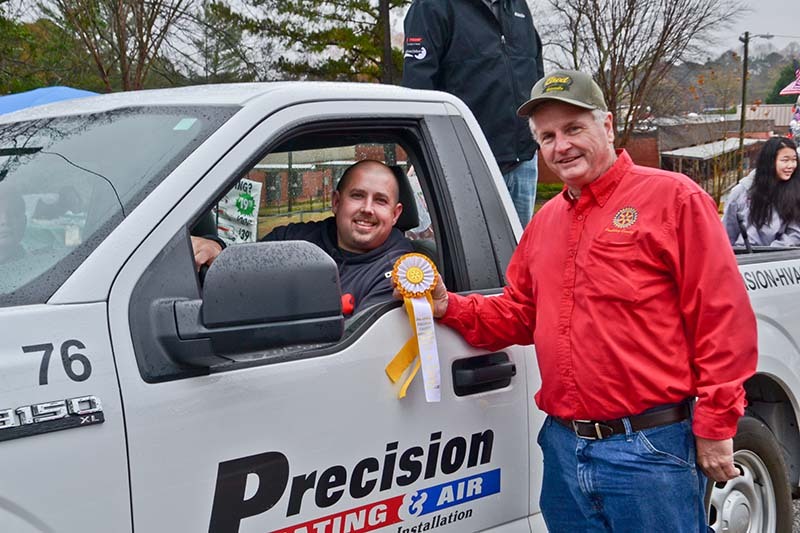 The people of Paulding make this event one of the biggest and best events for our county. The presenters thank all the participants in the parade. 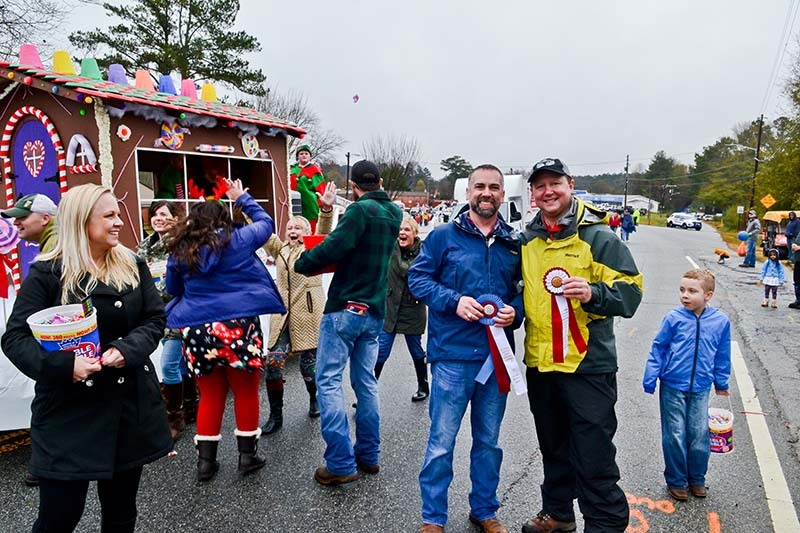 The parade entry fees in addition to contributions from sponsors such as Ryan Hale, Sam Elrod, and Jim Henson help those less fortunate in Paulding County. Special thanks to Dallas Police Chief Joe Duvall and Asst. Chief Jim Boshell, Dallas Parks & Recreation Director Robby Bruce, CHPP GA-ACEM EMA Coordinator Stephen M. Dooley, Paulding Fire Dept. 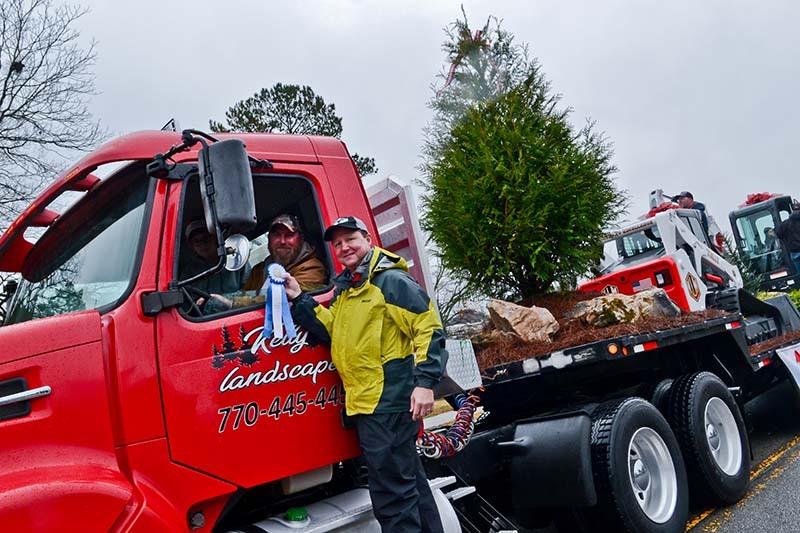 & EMS, Hardy Family Automotive Group, Elrod Garden Center, Pirate Printing Screen Printing & Embroidery, Brett Reece Pro Sound Productions, Edward Jones Financial, Allen White Development, Sergeant Ashley Henson & Paulding Sheriff's Office, the Paulding County Chamber of Commerce and all of our club members for your commitment to this community. 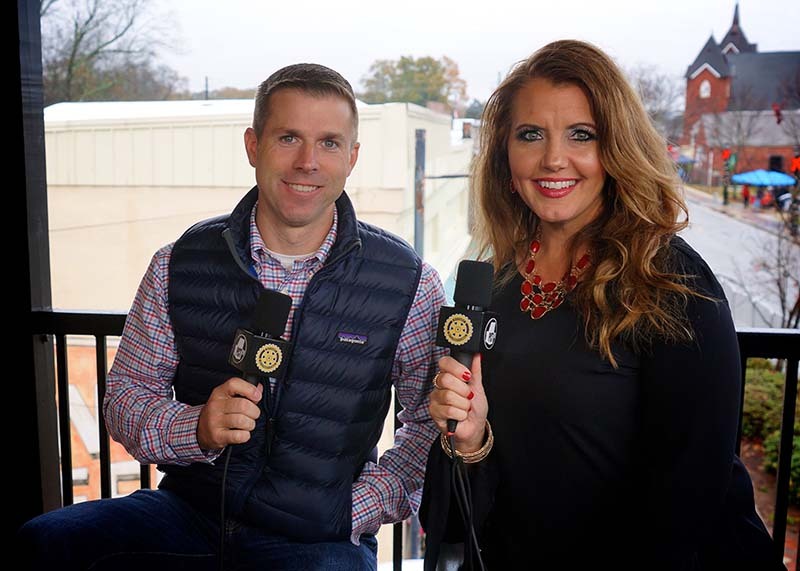 Thank you to our new team members at Paulding Co. Government and the Paulding County Today Channel-23 TV staff.